Set in Cuba, largely after the fall of the Soviet Union, the eleven stories in A Kind of Solitude (Willow Springs Books) explore themes of isolation and preservation in the face of widespread poverty and sociopolitical oppression. 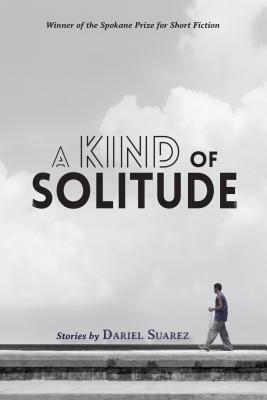 From a chronically ill santero refusing medical care to a female-fronted heavy-metal band risking it all to emerge from Havana’s underground, Dariel Suarez, in his daring debut, portrays the harsh reality, inherent humor, and resilient heart of a people whose stories should be known. Dariel Suarez was born and raised in Havana, Cuba. He immigrated to the United States with his family in 1997, during the island’s economic crisis known as The Special Period. He is the author of the novel The Playwright’s House (forthcoming, Red Hen Press) and the story collection A Kind of Solitude (Willow Springs Books), winner of the 2017 Spokane Prize for Short Fiction. Dariel is an inaugural City of Boston Artist Fellow and the Director of Core Programs and Faculty at GrubStreet, the country’s largest and leading independent creative writing center. He earned his M.F.A. in Fiction at Boston University and now resides in the Boston area with his wife and daughter. Shuchi Saraswat’s work has appeared in Ecotone, Tin House online, Literary Hub, Women’s Review of Books, among others. Her essay “The Journey Home” received a special mention in Pushcart XLII 2018 and will be anthologized in Trespass: Ecotone Essayists Beyond the Boundaries of Place, Identity, and Feminism, published by Lookout Books in Spring 2019. She is the creator and curator of the Transnational Literature Series at Brookline Booksmith. *Due to unforeseen circumstances Laura van den Berg will be unable to join us for this event. Dariel will now be in conversation with Transnational Series curator Shuchi Saraswat.